Every so often as the secret tape recordings President Nixon made in the Oval Office are released we assume that some scarlet blush will come to Kissinger's face. No doubt Kissinger is very much embarrassed today. 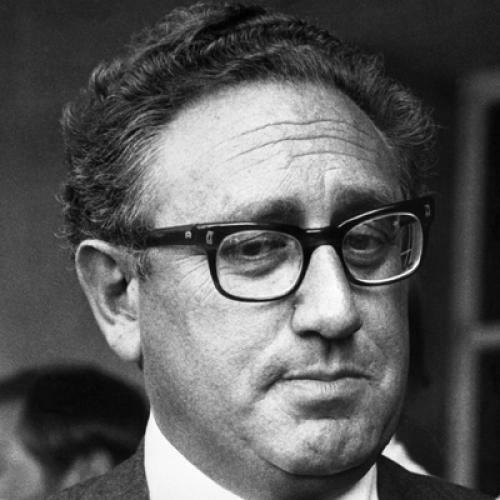 Kissinger: "The emigration of Jews from the the Soviet Union is not an objective of American foreign policy. And if they put Jews into gas chambers in the Soviet Union, it is not an American concern. Maybe a humanitarian concern." Nixon: "I know. We won't blow up the world because of it." Of course, all the Kissinger-haters are saying: "You see, he's a monster." I know something about Kissinger's maneuvering for the Jewish state and for the Jewish people. I and a few Harvard colleagues were in touch with him, actually met with him during the dread days of the Yom Kippur War when Israel's very survival was at peril. (Henry Rosovsky, Samuel Huntington, Michael Walzer, Thomas Schelling and I comprised the group.) Dr. K. confided to us how difficult it was to persuade his bigoted boss that a great deal of American arms (and sufficient Lockheed C-130s "Hercules" aircraft to deliver them) were needed and needed instantly. There is no doubt in my mind that Kissinger rescued the third commonwealth with these munitions. Imagine, by the way, if George McGovern had defeated Nixon in the 1972 election. McGovern's enmity to Israel was and is well-documented. There would have been no military aid and no Israel. So, if Kissinger needed to flatter Nixon in order to convince him, that flattery was also a blessing. Yes, the Soviet government contemplated another genocide of the Jews and also lesser mortifications of them. But, believe me, no progressives believed this was possible. There is much documented evidence of the falsified "doctors' plot." Again, the American left denied it. But one doesn't have to contemplate a post-World War II genocide of the Jews by the Soviets. There had already been the Nazi genocide. Did the administration of Franklin Roosevelt target any of its centers? Not for a moment. Even the bombing of Auschwitz, proposed by secretary of the treasury Henry Morgenthau, a Jew, was dismissed with contempt and derision. Henry Kissinger did much better than F.D.R. So, for that matter, did the anti-Semite Richard Nixon.